Unfortunately, these terms are freely interchangeable. So do not panic. According to investopedia, an operating expense is an expense a business incurs through its normal business operations. In other words, in the context of a rental property, are ongoing costs to maintain and keep a rental property investment in service. Typically, Opex represent a huge financial chunk of what real estate investors must pay to own rental property. Therefore these expenses play a major role in the real estate investment decision. Opex are different from Capex in the fact that they are ongoing, (somewhat) predictable and usual. Capex (Capital expenditure) on the other hand correspond the so-called “large ticket items” on property. 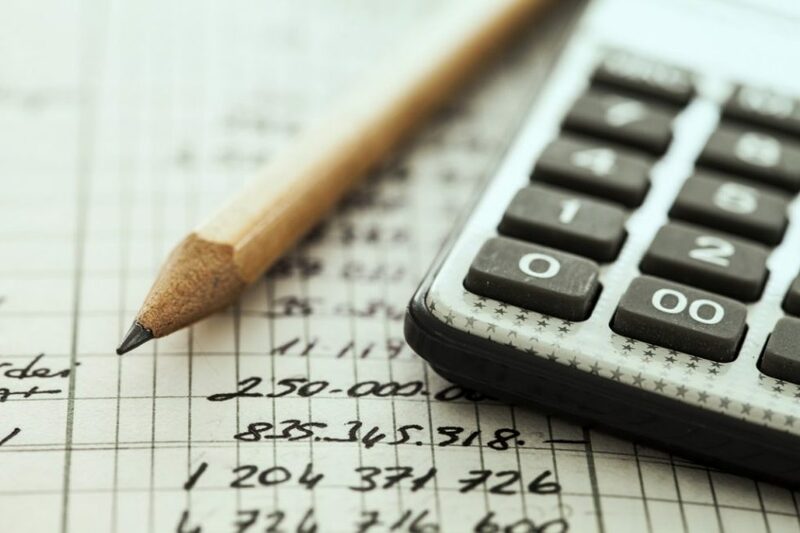 In short, Capex are expenses like changing a roof, appliances, driveways, plumbing systems, electric systems or any other large item you should budget for but that do not occur enough to be easily accounted for. Like in any other part of the world, Berlin Operating costs dependent on the perspective: owner or tenant. Wether you are renting an apartment or owning one your expenses will be different. Every country and market has its won set of rules and specificity. For example, if you live in Stockholm, change are that the snow removal cost will be higher than the if you live in Paris. In Berlin, the usual operating cost of a property are pretty much the same as any city in Europe. However some differences exists in who pays what. Simply said in Berlin the tenant pays for everything. 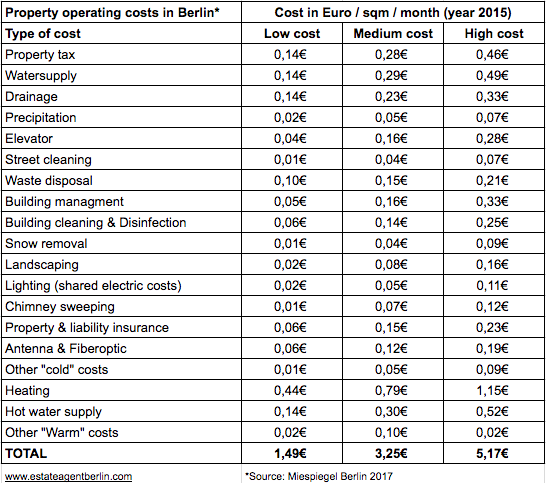 Noteworthy, The last edition of Berlin Mietspiegel (2017) offered an appendix with Rental operating costs based on quality of location (page 20). Unfortunately, these cost we calculated for the year 2015 and not 2017. In Berlin, a new comer my be surprised to learn about “cold” and “warm” rents. This has a loose connection with the temperature in your flats. Simply said, the cold rent Kaltmiete is the rent before any extra cost Nebenkosten. The warm rent Warmmiete is the actual rent “out of pocket” rent cost for the tenant. However, the landlord does receive the whole amount of this rent. Only the cold rent portion goes to the owner. In practice things are different. A – 50 sqm property in a low cost building with. B – 75 sqm property in a medium cost building with. C – 100 sqm property in a high cost building with. Owners are responsible for all cost related to a property in Berlin. In practice, tenants pay the check. The only non-transferable cost are the Capex reserves and/or condominium fees. These types of costs voted by owners of building or willingly reserved if the owner owns the whole building.